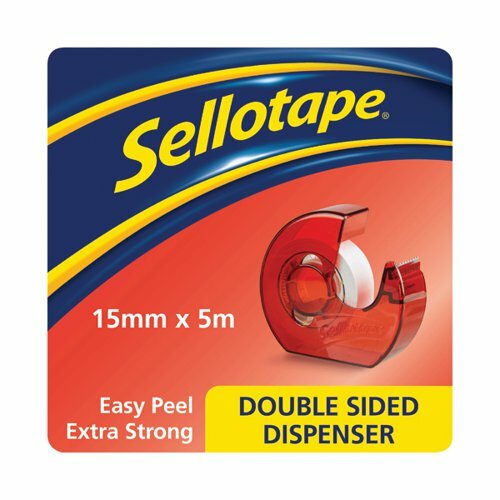 Sellotape dispenser with double sided tape. Versatile tape creates an instant dry adhesive bond. Ideal for displays, mounting and exhibition work.